Cottontails Baby: The goats are here! 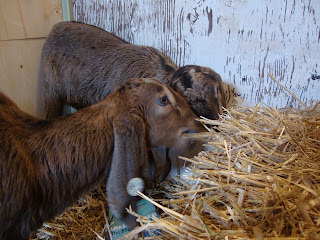 Just a quick little post - between parcel packing and bottle-feeding - to let you know the goats are here! 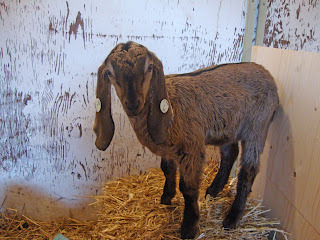 Meet Rufus, 10 months old, a neutered goatling. He is what is knows as an AOV (any other variety) or 'scrub goat'. Pretty basic, as goats go, but he is adorable - very gentle and affectionate. And Emma and Eve are just five and six weeks old respectively and are Anglo-Nubian pure breed goats. They have marvelous ears! I am bottle feeding the girls so it's a lot of work and early mornings, but I love it. 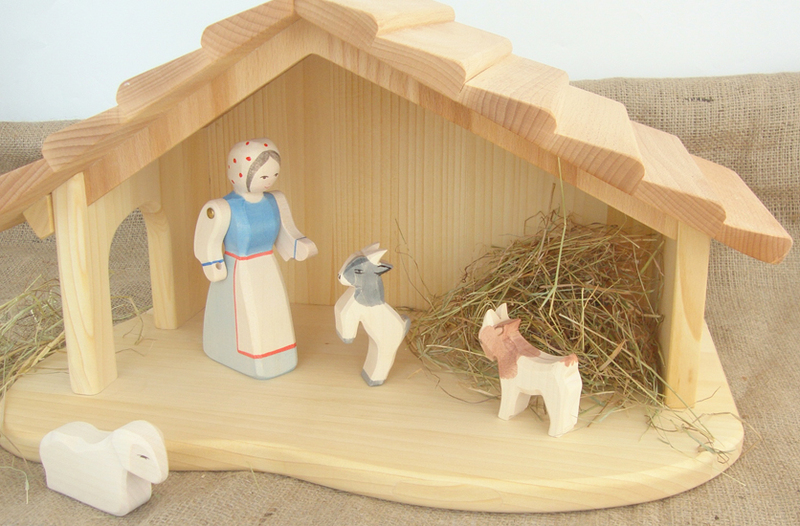 The next post will involve Cottontails and some toys, I promise, but in the meantime don't forget we do have wooden goats and barns for sale... and the bonus is that these goats don't need feeding at 7.30am! Well....now you're a full time Mummy!! Enjoy, they'll love you forever after all this feeding and love. oh wonderful, enjoy! 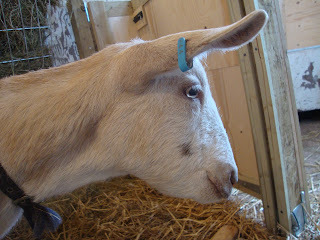 And yes the girls do have wonderful ears! 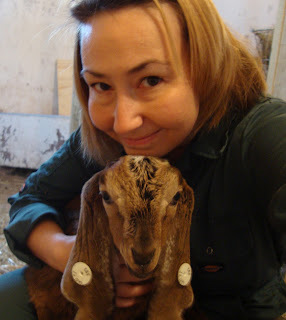 Every summer I get to babysit my best friend's hobby farm -- I love her goats! They're friendly, happy, playful, wonderful creatures. So much personality! what a beautiful choice and decision you made to have these 'kids' in your life! so lovely!!! Oh Charlotte how exciting. And those girls are particularly gorgeous! (a bit like lop rabbits hee hee!) my hubby is desperate to get goats, but we live in a residential area with only an 80foot garden. Pretty big, but not enough for goats. So he puts up with chickens, rabbits and takes our son to the city farm at every opportunity! Oh Charlotte! Now I have goat envy! They are wonderful! Sigh.